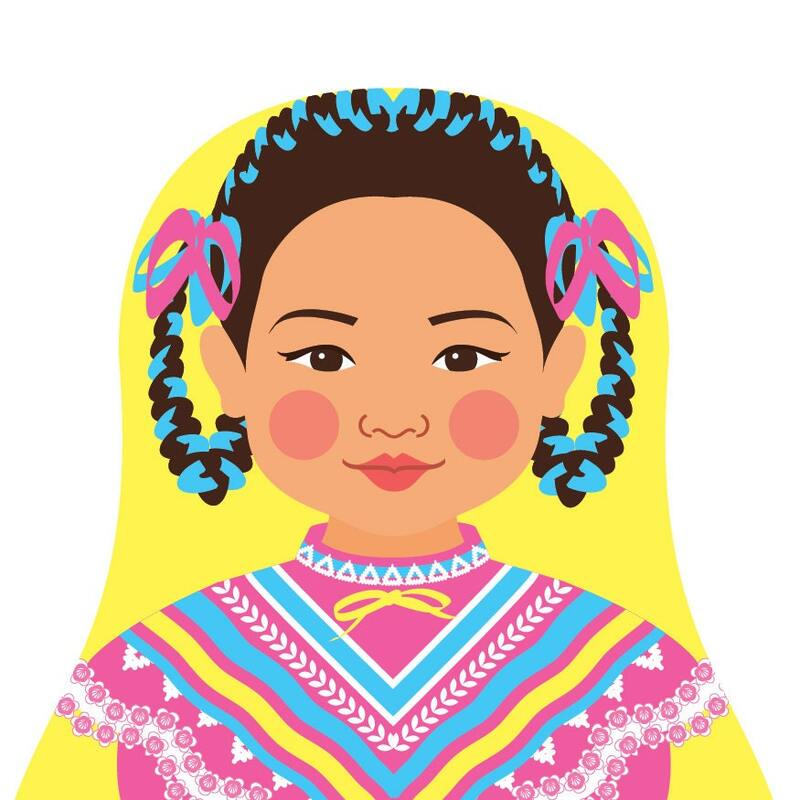 This is one of my drawings in honor of the Mexican people. 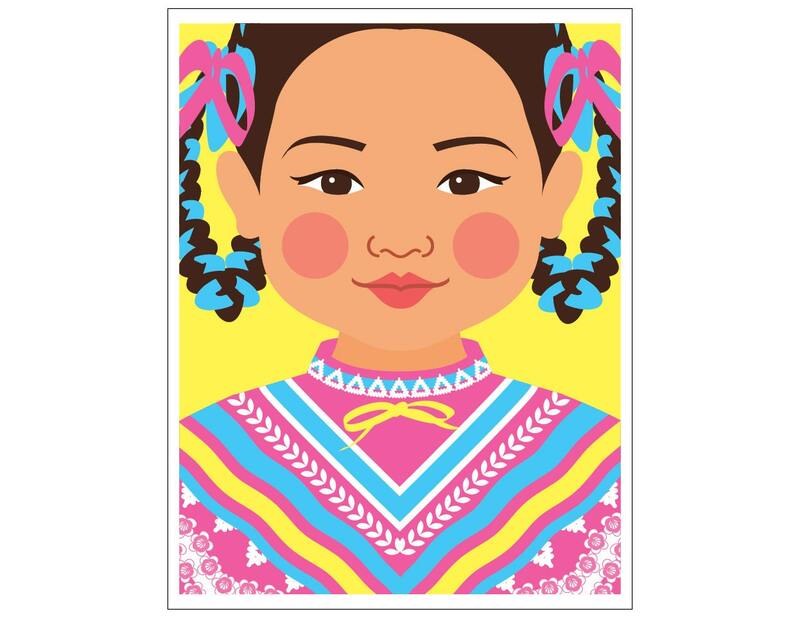 She is from my series of culturally inspired artwork featuring women and girls in traditional dress from around the world. 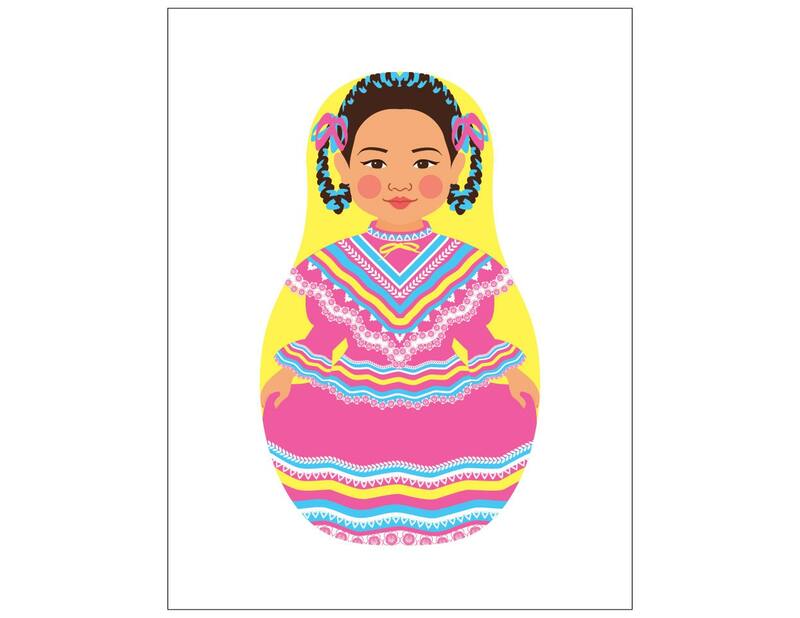 To unify this series, and to celebrate women and their familial relationships, they are all drawn in the shape of a Russian nesting doll (AKA Matryoshka, babushka, stacking doll) for its maternal symbolism. The entire series can be found in this shop in alphabetical order. 8.5 x11 inch With a label (Name or Culture/Nationality). 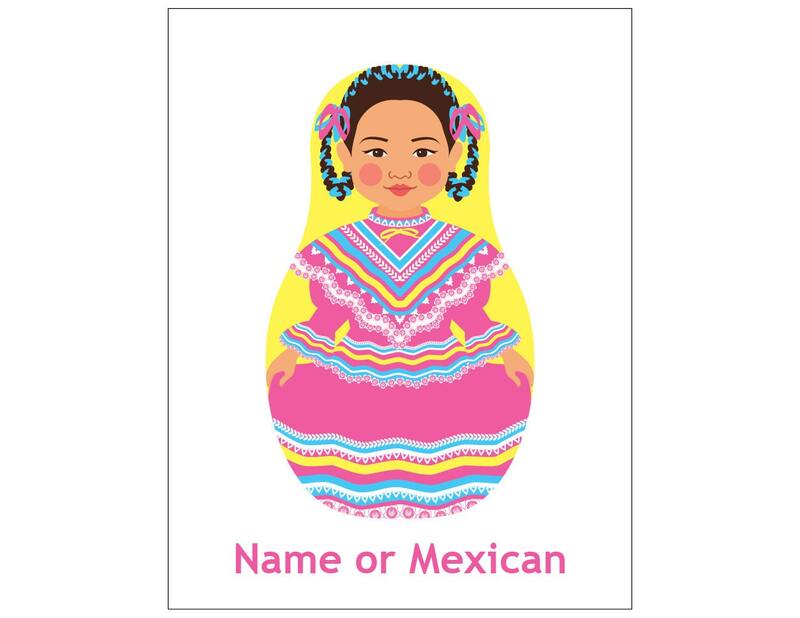 If you would like to personalize the print with a name, please choose "Labeled 8.5 x 11 inch" and leave me a name to add to the print or the print will say, "Mexican". To see an example of a labeled print, click on the second image above. Since the paper size is 8.5 x 11 inch, there is plenty of white border for 8 x 10 inch framing.